Much of the early focus in the area of Semantic Web has been on the development of representation languages for static conceptual information; while there has been less emphasis on how to make Semantic Web applications practically useful in the context of knowledge work. To achieve this, a better coupling is needed between ontology, service descriptions, and workflow modeling, including both traditional production workflow and interactive workflow techniques. 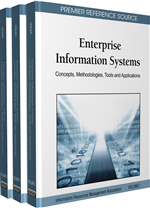 This chapter reviews the basic technologies involved in this area to provide system and business interoperability, and outlines what can be achieved by merging them in the context of real-world workflow descriptions.